With the Church throughout the world, we solemnly celebrate Palm Sunday of the Passion of the Lord and begin the week that changed the world: Holy Week. Today, we read the Lord’s Passion from Saint Mark (14:1-15:47).On Good Friday, we will read the Passion from Saint John (18:1-19:42). Before the Passion of Christ, as the apostles thought about Jesus Christ being in Heaven with the Father and the Holy Spirit, there was a discussion about a place of honor (Matthew 20:20-28; Mark 10:35-45).Jesus had told the mother of James and John that being on His right and on His left when He came into His Kingdom was not His to grant. That place of honor was for those for whom it was prepared. Saint Luke’s account of the Passion introduces us to two of those for whom it was prepared: two criminals (Luke 22:1-23:56).These men were being crucified right next to Jesus as He died on the Cross – we see that although Jesus Christ has saved us by His Passion, Death and Resurrection, it is up to us to respond to that salvation wrought for us by Christ. Do we reject or embrace the grace of the Cross of Christ? Do we live in that grace, conscious of being instruments of His mercy and love? God requires the response of our freedom, to respond to His grace, to seek His mercy and love – Pope Francis has reminded us that God, in His love for us, never gets tired of giving us His mercy; rather, it is we who get tired of seeking and asking for His mercy, which we all need. From their crosses, both sinners saw the same thing. One complained and reviled Jesus, just like those who crucified Him. The other, the repentant criminal, was moved when he heard Jesus Christ forgive His persecutors from the Cross – the repentant sinner desired that forgiveness, for he wanted to die with the same hope and certainty with which he saw Jesus living through His suffering and death. The repentant man dared to utter his desire to live! He saw the love of Jesus and begged for His love and mercy. And the repentant man’s destiny is certain: “Amen, I say to you, today you will be with me in Paradise.” The non-repentant criminal’s destiny is known only to God. 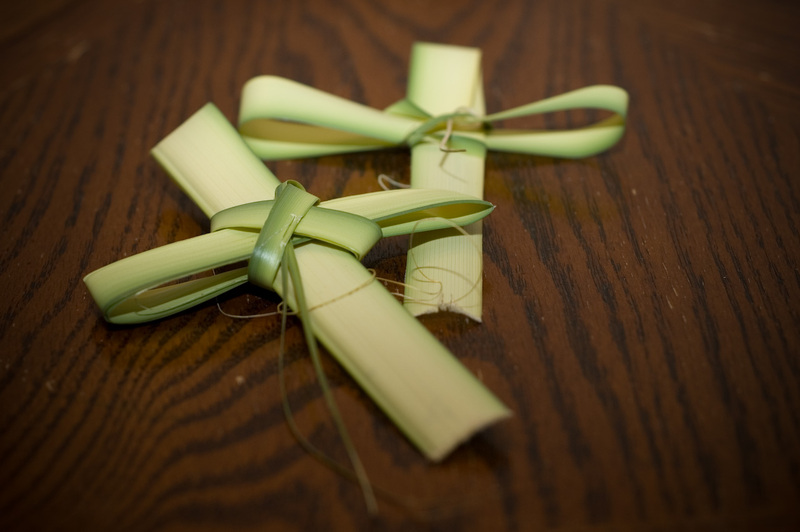 Today, on Palm Sunday, in a most poignant way, the Church puts us before the Cross of Jesus Christ. Which side is your freedom on?